While there will always be a difference between driving for pleasure and driving for a living, the T680 makes the distinction barely noticeable. Its sweeping exterior lines shelter a worldclass cabin reminiscent of fine automobiles where groundbreaking technology enhances tradition. Space, elegant design, fine craftsmanship and an abundance of luxury details define the environment. Interior systems fit the driver fusing feel and sense of control with true ergonomic comfort. Kenworth T680. Fusing precision-optimized aerodynamics with luxury, intelligent technology and quality. 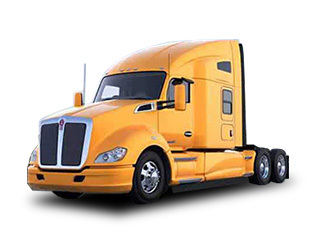 The Kenworth T680 could change the way you do business. The way you reward drivers. The way you save money on fuel you don’t put in the tank. And, moving forward, the way you measure your investment in heavy duty trucks.